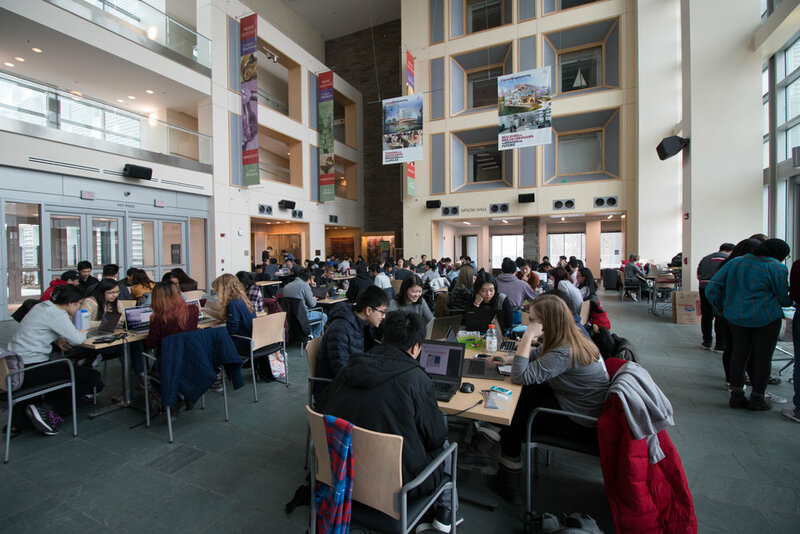 The Cornell Maker Club presents Cornell's fourth annual Make-A-Thon, bringing together engineers, designers, and creatives to hack and build life changing solutions using rapid prototyping techniques. All making will be done in an open collaborative environment to encourage the development innovative ideas. The event is open to university students, from Cornell or otherwise. You will work in teams of 4-5 hackers to make anything your heart desires. A prompt will be released at the start of the event to guide all projects. We will provide everything you need in order to hack/make, from prototyping resources to food. The top 5 teams will then have the chance to pitch at the finale of the Make-A-Thon to present their projects. After the hacking and building period, we will host a public pitch competition where the top 5 teams can present their projects. Pitches should be 3-6 minutes long. We encourage you to invite your friends and family to see what you built, and encourage non-participants to stop by to see all the cool projects and meet their awesome creators. What hardware will be available? A variety of embedded platforms, from Arduino to Raspberry Pi, will be provided for you to work with. We’ll have many different kinds of sensors, motors, actuators, I/O devices, and much much more for you to use as well. In addition, participants will be able to use 3D printers and our laser cutter. A full hardware list will be published prior to the event. All undergraduate and graduate students are welcome to participate. Please note, however, that travel reimbursements will not be provided. I'm a beginner. Can I still apply? Yes! In fact, we encourage beginners to come and learn! We have a ton of mentors to guide you and will hold several workshops to help make your project a reality. We strive to have both experienced and inexperienced makers participate! Don't worry! We recommend that you bring a laptop (and yourself!) to hack. We will provide everything else that is necessary for the Make-A-Thon so do not worry about bringing anything else. However, if you have a certain set of tools that you like to use, please feel free to bring them as well. We will provide a prompt to which projects respond to. It will be released approximately 2 weeks before the event. Judges will evaluate the projects and pitches based on their build quality (how awesome it is), engineering (does it work), and entrepreneurship (how was it pitched and what is its real-world potential). Do not worry! This event is meant to be fun, and all of the judges understand that everything was built over the span of 24 hours. And if you are worried that the judges might not like your project even though students will, fear not as well! Every team will be in the running for a People's Choice Award in which one popular vote winner is selected. There will be more information on this during the event. This event is completely free, and that is including food, drinks, and any necessary materials you will need to hack with! This is all thanks to our amazing sponsors listed below! This is awesome. Is there anything else I can get involved in? This event is completely run by students for students. The Cornell Maker Club organizes Cornell’s only student run makerspace, right out of Phillips Hall. Spark Product and Industrial Design is an interdisciplinary club that hosts events, student design teams, and workshops to educate and inspire the Cornell community to engage with design and design thinking. Cornell's Rapid Prototyping lab is the go-to spot for project teams, research groups, and classes to iterate on designs through laser cutting, 3D printing, and even CNCing. Life Changing Labs is a not-for-profit organization that powers the Cornell entrepreneurship community. If you have any questions regarding the Make-A-Thon that were not answered in the FAQ above, please get in touch with us through email - cmc1865@gmail.com. We will reply as soon as possible.